The uniquely visual DK Eyewitness Travel Guide Boston is the ultimate companion to this magnificent state. From visiting the historical Harvard University to taking one of many historical walks or watching the Boston Red Sox play; you’ll find detailed information on the best things to do in Boston. This best-selling travel guide is packed with beautiful cutaways and floor plans of all of Boston’s major attractions, as well as 3D aerial views of its most interesting districts. It features everything from a section on Four Great Days Out in Boston to where to go for a beer at the end of the day, with enlarged and enhanced Street Finder mapping throughout. 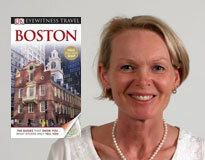 The DK Eyewitness Travel Guide Boston is fully updated and expanded with dozens of reviews for hotels in Boston, recommended restaurants and tips for shopping and entertainment. Discover Boston. Find the uncommon in Boston Common: sack races for kids of all ages, midnight tennis matches and hawk spotting. Discover the next John Singer Sargent at an open studio event in Jamaica Plain or SoWa Order a cup o’ joe like a local (regular, black, sweet or light), and don’t forget the donuts. Forage for fruit on a ‘wild edibles’ tour of Grape Island. In This Guide: One resident author, 50 days of on-the-ground research, 8 lobster rolls eaten and 27 lagers imbibed. Special Day Trips chapter with excursions to Lexington, Salem and Concord. Bostonian experts give tips on where to go to eat, drink and play like a local. Content updated daily – visit lonelyplanet.com for up-to-the-minute reviews, updates and traveler insights.